One of the many charms of following The Tour route is coming upon villages expressing pride in a local who has ridden in The Tour. Just four kilometers from the Stage Seven start in Fougères the small village of La Chapelle-Janson announced itself to all passing through as the home of the brothers Groussard, Tour riders from the ‘60s, who not only rode in The Tour but wore the Yellow Jersey. Younger brother Georges wore the coveted garment for nine stages in the 1964 Tour and finished fifth overall, his best finish of his seven participations. Joseph was in Yellow for just one stage in the 1960 Tour, but won a stage the year before, his best result in his nine Tours. He also holds the distinction of being the Lanterne Rouge in the 1965 Tour. The large vinyl poster of them in Yellow was mounted on the side of its Marie (City Hall) that will greet the peloton as it passes through. The town further celebrated the bike with a giant replica of a Draissene, the first version of the bicycle. I was glad I had ignored the barricaded road signs and hadn’t taken the recommended detour around the village, though I was forced to push my bike through a park to get around the work replacing a bridge over a creek. The detour would have deprived me of these wonderful ornaments and learning of the Groussards, as I won’t be riding this stage come Tour time as it requires a brutally long transfer of one hundred miles from the stage finish in Mur de Bretagne to the start of the next stage in Fougères. I will skip Stages Seven, Eight and Nine across the north of France to Roubaix, heading south after Stage Six to meet up with The Tour in the Alps after it makes a several hundred mile transfer by plane on its Rest Day to Lake Annecy. Just as small towns on The Tour route paying tribute to a local who has ridden in it is a feature of The Race, so is passing through one of the many towns in the country named for Saint George. This stage had both with St-Georges-Buttaven twenty-one hilly miles after La Chapelle-Janson. There could be many more of both to come, maybe even on this stage, the longest of this year’s Tour at 145 miles. It is one of five stages longer than 200 kilometers (125 miles). My ride from Mur de Bretagne to Fougères at least included one significant cycling pilgrimage site—Saint-Mèen-Le-Grand, home town of three-time Tour winner Louison Bobet. Not only is he buried there, but there is a museum devoted to him. I had visited it ten years ago with Craig on our ride from the Cevennes to Mont St. Michel. I have wanted to return as the museum had a list of the more than seventy streets, plazas, schools, stadiums and such that had been named for him. I hadn’t thought at the time to make a copy of it, as I wasn’t fully obsessed then of searching out anything cycle-related, however minor, in France. Over the years as I continued to circulate all over the country, I’ve occasionally happened a Bobet tribute. They always give me a jolt of excitement and make me want more. The museum had been totally transformed from a haphazard collection of his mementos in a living-room setting to highly-organized, albeit sterile, summary of his life growing up as the eldest son of the town baker to becoming the country’s most prominent athlete. The two room museum in a municipal building that also houses the tourist office now had interactive exhibits and two screens with thirty minute videos on his career produced by the eminent Jean-Paul Ollivier, a cycling authority who has written over fifty books on the sport, including two on Bobet. One of the videos was interviews with his brother and sister and two children. Bobet died in 1983. His younger siblings are still alive. His younger brother Jean also raced, but he is best known as a writer. His book “Tomorrow We Ride” is one of the best is on cycling. Lance Armstrong’s bike shop in Austin, Mellow Johnny, has a quote from the book on a wall. The second video was thrilling clips from his career broken into six segments. 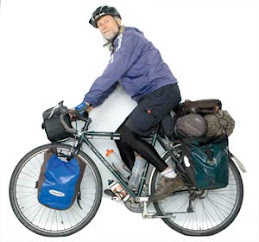 He rode in the post-WWII era when cyclists still rode with a spare tire looped around their shoulders. He was the first to win The Tour three years in succession from 1953 to 1955. A Yellow Jersey from each of his triumphs was on display. The last had the rainbow stripes of the World Champion on the sleeves, which he was entitled to after winning the race in 1954. Among the other jerseys was the one from his Paris-Roubaix win in 1956. I was relieved the list of places named for him was still on exhibit, though the museum didn’t have copies to distribute. Though I’d been to his grave in the cemetery by the church in the center of the town on my previous visit, I couldn’t be on my way without paying my respects once again. I had a strong memory of exactly where it was in a middle aisle just after one enters. But I couldn’t find it. Craig and I had no problem locating it as when we arrived at the cemetery we met the couple who lived in Bobet’s childhood home and they led us straight to it. I walked down each aisle of the crammed cemetery twice and even ventured into the addition below it thinking my memory must have really gone haywire. One doesn’t usually have to wait long in a cemetery before someone arrives to check on the grave of a loved one, bringing flowers or rags and brushes to clean it. Finally someone did. She thought she knew where his grave was, but she couldn’t immediately find it either. She said she knew it was a big one and held her arms apart, as in wider than most. After several minutes of circling around she finally spotted it near where I thought it was. It hadn’t caught my eye as the featured name on the grave wasn’t Bobet, but his first name. Nor was there anything bike-related to draw our attention either. He was beloved enough to be known as simply Louison. The street named for him goes by his full name and carries the additional identity of “Champion Cyclist.” It is an artery off the main plaza and is where his father’s bakery had been. The three-story building has a plaque on the second floor. It now houses a driving school which has a painting of Bobet on its window, though not by the artist who specializes in painting storefronts in Ville Étapes. He had made a killing in Mur-de-Bretagne. Nearly every storefront in its center and beyond was graced with a freshly minted Tour-related painting, as the artist, Philippe Le Paih, who goes around to Ville Étapes plying his trade, lives ten miles to the south in Pontivy. If I had had a little more time I would have dropped down to meet him to hear his stories and see his vast portfolio. I’ve seen hundreds of his paintings over the years and each is different, though distinctly similar. He must be a genuine Tour fanatic. He featured Warren Barguil, who lives in Brittany, in a painting for the town bakery. Barguil was one of the stars of last year’s Tour winning two stages and the mountain competition. His nickname is Wa-Wa, taken from Warren, rather than Bar-Bar, taken from his last name as one might expect considering the great popularity of the nicknames Pou-Pou for Poulidor and Ja-Ja for Jalabert. One can’t predict how a nickname will be derived. Yvon tells me he has been known as Von-Von by girl friends. The nickname for André is Dé-Dé. The French love for repeating a syllable goes beyond nicknames. Do-do is a slang term for sleep, taken from dormir. And of course there is bonbon for candy. Cou-cou a version of bonjour, as hi is to hello, though rarely used. The Zola novel I’m reading, the cynically titled “The Joy of Life,” has a dog called Lou-Lou, also a nickname for Louis. This is one subject the released deceased Peter Mayle never wrote about, unless he saved it for his final soon to be published book on his twenty-five years in Provence. The stage finish in Mur-de-Bretagne is two miles out of town up a notorious mile-long climb of fifteen per cent. I was no more looking forward to it than the vast majority of the peloton will be, especially since they will be climbing it twice, just as they were forced to climb Alpe d’Huez twice a few years back. The strongmen will be eager to take it on as it will be a great separator. There will be no drafting or hiding on such a grade. It was most definitely a strain, but the nearly two thousand miles I’ve put on my legs in the past month made it less of a strain than some of my earlier murderous climbs in the Pyrenees and on the Massif Central. The legs are definitely coming around. They will be ready when The Race commences in two weeks. They had no need of pause when I reached the summit with its sign giving the contour of the final loop of the stage and actually felt as if they wanted more. Have you ever ridden or seen a Bobet bicycle? They were somewhat common in Ohio and Michigan back in my early days in the sport. George Peutuesi (sp) the owner of Cyclopedia was the importer and maybe the only retailer. He was in Detroit for years but ultimately moved the shop to Cadillac, mi. They were similar to Peugeot POSTS as I recall but they probably had Campagnolo components. They definitely came with sew up tires. Having said all that, I have no idea where they came from or who made them. Rick: The only Bobet bike shop I’ve seen are the pair in the Bobet museum. I occasionally see a Poulidor locked to a bike rack at a never in the US.